Posted	by Puerto Realty on Monday, May 21st, 2012 at 10:53am. 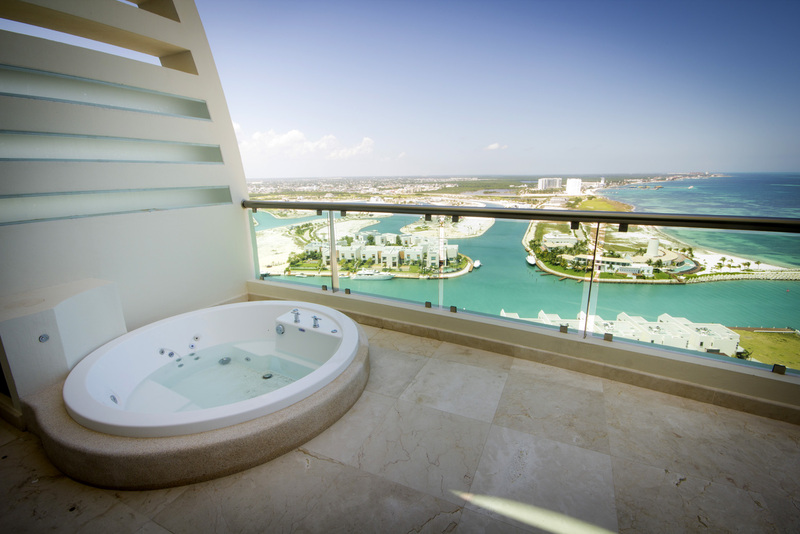 One of the most beautiful condominiums in Cancun is the Penthouse located in Novo Cancun, within the development of Puerto Cancun. Priced at $1,900,000 this Penthouse features every design feature and amenity imaginable. Professionally designed, this three bedroom three and a half bath Penthouse measures over 4,500 square feet and has amazing views of Cancun’s Caribbean. Built in two levels, the Penthouse features furniture by Ralph Lauren and Viking kitchen appliances and an outdoor dining area for 10 people. Puerto Realty is featuring this Novo Cancun Penthouse for sale, and is looking for a buyer who wants the best of the best. Novo Cancun has long been known as the premier condominium residence in Puerto Cancun with its utmost level of security and property amenities which include: marina access, large pool, tennis courts, paddle tennis, beach access, gym, spa, large palapa for social gatherings, and many others.